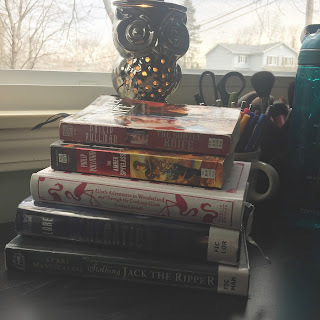 A Literary Odyssey: Readathon Stack: April 2018. I know I haven't been around. The usual has been happening-work overtaking all my free time so I really haven't been reading. I think the only thing I've read in the last month is Long Way Down by Jason Reynolds and that only happened because I had a rare day where I was caught up. And it was a fast read. 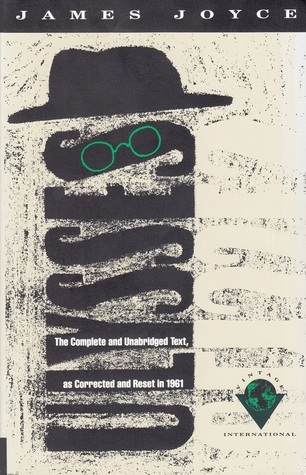 In any case, I hope to get back to reading and posting again regularly. I started this year off so well! But I am planning on participating in tomorrow's readathon. The first one I participated in was April 2010, and while I haven't been able to jump into every single one, I've participated in most. I love the readathon! I grabbed a few books and created this small stack. I have no idea if these are the books I'm actually going to read, but I'm going to give it a shot! The Subtle Knife by Phillip Pullman: I started this after finishing my reread of The Golden Compass back in February. I want to finish it, but I've just been too busy! This is my number one pick for tomorrow! Alice's Adventures in Wonderland by Lewis Carroll: This is in my stack because I'd like to read it...I just don't know if I'll get to it. 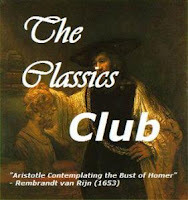 I do enjoy reading classics for the readathon, so we'll see! Generation One by Pittacus Lore: This is 1 of 2 books I have left to read for our Battle Book list. I started this ages ago during silent reading time with my kids but set it aside. I know it'll be a fast read if I can squeeze it in. Stalking Jack the Ripper by Kerri Maniscalco: This is the 2nd Battle book and one that I've been saving since the kids seem to enjoy it. It's not one I would have normally picked up to read, but I'm going to give it a go anyway! There you have it-a short stack, but there are some things I'm truly looking forward to reading in there. I tend to stray from my readathon piles a lot, so that might happen. Let me know if you're participating so I can check in! I'm reading tomorrow so I'll give you subtle nudges toward Alice throughout the day. ;) I hope you have a great day of rest, reading, and proctoring! I wanted to participate, but I had so much to do on my day off-so I just visit those who did, I like your list-I hope you get to read Alice's Adventures in Wonderland-excellent book!! I love the His Dark Materials series!!! I've had Stalking Jack the Ripper on my to read soon shelf for two years now, and yet I keep passing it up for something else. I can't wait to hear your thoughts on it.